We all hear about how important fluoride is, but not everyone knows why. When it comes to children, fluoride is essential and as a parent it is best if you know what fluoride is, why it is needed and how much your child should be getting. Developed from the thirteenth most common element in the Earth's crust, fluoride is found naturally in water sources and is the main component of fluorite. Fluoride helps prevent and can even reverse the early stages of tooth decay. Tooth decay, especially in children, occurs when plaque breaks down the sugars in the food they eat. The bacteria produce damaging acids that breakdown the hard enamel surface of a tooth. For children, the enamel is not yet as strong as an adult's and from the toddler to teen years it is crucial that boys and girls get enough fluoride to prevent tooth decay. 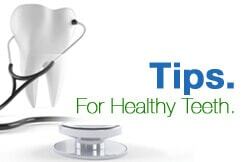 While fluoride cannot heal a cavity, it can reverse low levels of tooth decay and prevent new cavities from forming. How Much Fluoride Should Children Get? Kids under the age of 6 months generally do not need fluoride supplements. After 6 months, a dentist may recommend fluoride drops, tablets or vitamins to ensure your child gets the necessary amount of fluoride. Only children who live in areas that have nonfluoridated water supplies or those that only drink nonfluoridated bottled water should consider fluoride supplements. Children should also start brushing with toothpaste that contains fluoride to help prevent tooth decay and build strong and healthy teeth.